Spring has sprung and it is time to get to work on some spring cleaning. Our beautiful Durand Park is also in need of some sprucing up, so on Saturday May 26th the Durand Neighborhood Association is inviting Duranders to come out to Durand Park and help us beautify our park for the summer. Starting at 9:00 am until 1pm we’ll be out there with all the equipment (rakes, pruning tools, bags and gloves) to do a clean up of the park. If you only have a little time, no worries, every little bit counts. The more hands we have, the easier the work will be, so bring a friend, bring your kids and come and lend-a-hand for your community. This is a great opportunity to meet your neighbours and enjoy the park! We’ll supply all the equipment and a few refreshments, but please come prepared for the weather and with sun protection. Water is also recommended. Spread the word! We hope to see you out there. If you can, please sign up online on our event page so we have a rough idea of how many people to expect for refreshments! 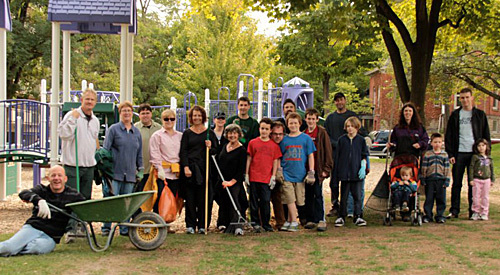 1 comment on "Durand Park Spring Clean-Up Volunteers Needed"